But this is not just about money. 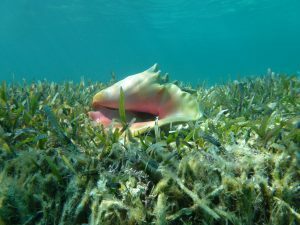 Seagrass loss also threatens marine biodiversity and the health of charismatic species. After a severe cyclone in Australia in 2011, turtles and dugongstarved due to the damaged meadows. In addition, seagrass is a marine powerhouse, which stores vast amounts of carbon in meadow sediments. When the seagrass is removed, this carbon is released back into the environment.